Trying to get people to pay for weather forecasts? Hello, can anybody help out there (UK based residents)? I'm off to Sierre at Tahoe - but there don't seem to be many reviews of the place... anyone know the area and want to leave a bit of feedback in the resort guide on what to expect and what it's like! Talking about Gressoney, Monterosaski: plenty of snow, fabulous weather, great landscapes, good food and.. drinks! Simply perfect for anyone. Perfect for my son that has just started skiing; perfect for my wife that is a good skier on piste and perfect for me, that like off-piste so much. Can anyone suggest any good places to eat in Sierra Nevada - we came last year and are coming back end Feb as it is ideal for a weekend ski trip but from memory the food was not so good. A DUMP for California resorts: Squaw, Kirkwood, Heavenly Valley benefited from X-mas pounding. Mammoth Mountain in Central California has some steeps open ( Chutes with 45 degree pitches or better( wipe out drop out chutes ) access from gondola at summit 12,050 feet. "There is no off Season "
Happy Pow Holidays to all ! Have been skiing at Bareges/La Mongie since it opened last Friday. The skiing is great and conditions excellent. More snow forecast for Christmas Day. So get yourselves down here for some good skiing at great prices. Today 50% of the pistes were open - and we had the place to ourselves! and good luck with the season. 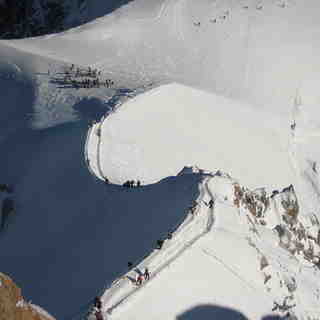 Great site; it makes my skiing holiday start before I get there! Only one complaint: the weekly round up is tough to read...have you guys never heard of paragraphs! The French Pyrenees is a wonderful place to ski. Take a look at tourmalet.fr and you will see extensive skiing available to all levels of skiers. We are expecting good snow this season. Our 2 warm cosy gites are just 30 minutes from Tourmalet, we are 5 minutes from the town of Bagneres de Bigorre. Take a look at our site www.leparede.com for excellent priced accomodation (and excellent quality) - and skiing at half the price of the Alps! Is there anyone out there from Norway or planning a trip to Voss early Jan? just booked 4 day break to chamonix (skiing 3 days) early feb can anyone recommend which lift pass to get cham local,cham area or mont blanc we're strong intermediates who like skiing on piste? thanks. Le soir selon les conditions d’enneigement (une grande partie de la saison grâce à l’installation récente de nombreux canons à neige ) pour pourrez rentrer « skis aux pieds » jusqu'à l’ascenseur !!! Prix, infos diverses et réservations sur notre site www.serrechestudio.com ou 0663156706. Can you believe it? Snow in Chamonix last week that came close to the valley. Lets hope the bad weather in Europe over the summer will mean lots of snow in the winter too. Damn. No sign of any snow yet. Great web site for outlook of Mouth Damavand ,in fact the only one. Great website! The weather maps and resort information are really useful. If anyone is interested in renting a ski chalet in Isola 2000, have a look at www.chaletisola.com. Great site! Hi I'm going to Sierra Nevada in southern Spain in the last week of March. Has anyone been this time of year? Whats the snow condition like? Feedback would be much appreciated. Just got back from Whistler, Canada. I have never seen so much snow and the resort is excellent. Two days we woke up to 23cm of fresh powder snow. It's a 10 hour flight from the UK but if you love to ski/board then its well worth the journey for the experience. Whistler village is packed with shops, bars and restaurants and with the Canadian Dollar being so low against the pound we could not resist a bit of retail therapy too! Of to Bardonnechia on 27th ... can't wait !! but hey whats going on with the white stuff ???? we need a lot more ! anybody got any tips on the resort ? BTW, I'll go with my family to Faraya at this month-end inshAllah. However, there is little snow...What do you think, will it get better by that date? 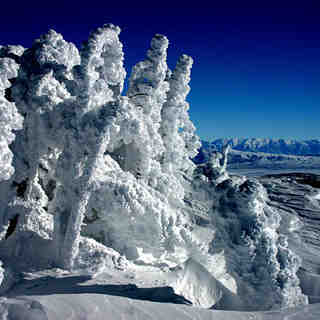 Going to Whistler on the 21st of Jan for 18 nights, can't wait WOO HOO!! 72 cms of snow in 24 hrs today, how the hell does that happen? Snow's falling in Europe as well, so things are looking alot better. Just like to let you all know about a great little resort in Italy called Macugnaga. Discovered it last year. Not for those who want the night life, but we had a really enjoyably stay. Hardly any queues, some nice little mountain restaurants for lunching, excellent instructors. I'd say a great place for parties with kids. None of the UK tour operators go there, but its easy from Milan. Recommend Cristalo hotel - 5 mins walk to lift and ski back to front door. And there is snow there! This is a great site for sado's like me who check the conditions everyday. I am going to Maria Alm in the Hochkonig region of Austria. I've recently bought an apartment there and this will be the first winter skiing as yet. Its also the first skiing I've done for 2 years as I missed a year due to knee reconstruction so I'm really up for this.